Joint Maneuvers Chiropractic Centre, P.A. Call 407-498-0222 to make an appointment! Welcome to Joint Maneuvers Chiropractic Centre, P.A. 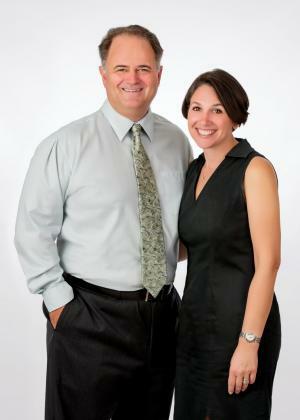 Your Lake Nona and Saint Cloud Chiropractic Physicians. for most health insurance plans and Medicare. Experienced Personal Injury (PIP) healthcare providers. To contact us, or to schedule an appointment with our St . Cloud or Lake Nona offices, call 407-498-0222 today! Simply dial "1" for our Saint Cloud office or "2" for our Lake Nona office. We at Joint Maneuvers Chiropractic Centre, P.A. are dedicated to making each patient the number one priority. 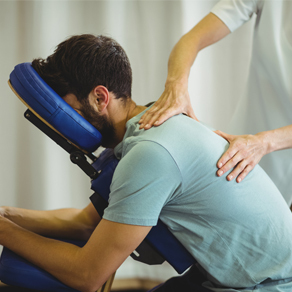 We have a state of the art facility with chiropractic care, Class IV Therapy Lasers, physical rehab equipment; passive modalities such as interferential, intersegmental traction tables and hydrotherapy table; we invite you to experience first hand our comfortable and professional atmosphere. We are committed to providing the highest quality care to improve the lives of all our patients in Lake Nona and Saint Cloud. From grandparents to young children, all walks of life, we help our patients enjoy their life to the fullest. We are dedicated to education and proactive with patient health, in turn leading to the realization that the maintenance of health is far superior to the treatment of disease. We strive every day to exceed expectations through providing patients with a relaxed, warm, nurturing, healthy environment. Drs. Petty use gentle and effective spinal adjustment techniques including, Drop Table, hands-on Diversified Technique, Activator Technique and Motion Palpation Techniques. 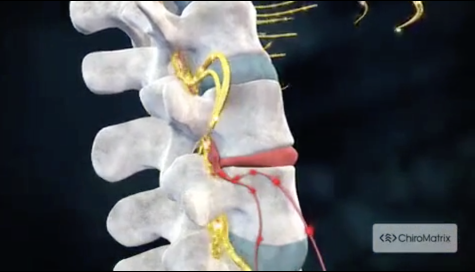 The type of adjustment procedure is always specifically modified for each patient. Our Saint Cloud chiropractic office is directly behind Wal-Mart in Saint Cloud and convenient to Hwy 192 in Saint Cloud, Florida. Our Lake Nona (Orlando) chiropractic office is on Narcoossee Road just south of Narcoossee & Dowden. We work closely with other healthcare professionals so if we are not able to help you, we will make sure we get you to someone who can. Your health comes first! Dr. Brett Petty studied at Life University, College of Chiropractic in Marietta, Georgia where she received her graduate, Doctor of Chiropractic degree in June of 2000. She has practiced in Central Florida since 2001. In 2007, she opened Joint Maneuvers Chiropractic Centre, P.A. in Saint Cloud along with her husband, Dr. Steven Petty. In 2014 they opened their second office in Lake Nona (Southeast Orlando). Dr. Steven Petty studied at Life University, College of Chiropractic in Marietta, Georgia where he received his graduate, Doctor of Chiropractic degree in June of 1996. He has practiced in Central Florida since 2001. Prior to 2001 Dr. Steven Petty was full time faculty at Life University, College of Chiropractic in Marietta, Georgia in the Department of Clinics where he taught Chiropractic Technique and Analysis. In 2007 he and his wife, Dr. Brett Petty, established Joint Maneuvers Chiropractic Centre, P.A. in Saint Cloud. In 2014 they opened their second office in Lake Nona (Southeast Orlando). "I was hurt in an car accident and my attorney suggested I go to Dr Petty. He told me they were great and would take good care of me. I hadn't never been to a chiropractor but they really helped me get better after I was banged up pretty good." "If you happen to find yourself in the Orlando, FL area with a kink in your neck or back, Brett Parrone Petty and Steven Petty did an amazing job of putting me back together again...I was able to enjoy our vacation and the ride home was definitely better without pain Thank you so much Brett and Steve for allowing me to enjoy my vacation free from pain!"